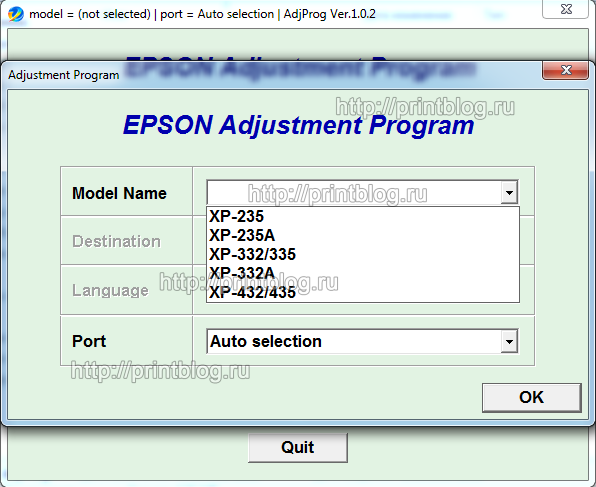 Adjustment program Epson XP-235, XP-235A, XP-332, XP-335, XP-332A, XP-432, XP-434, XP-435 - is a tool for these printer models, the program allows you to reset the counter diaper (otrbotka, absorber) to prescribe ID printhead do initialize the printer and other functions. After the payment program and download it, be sure to remove it from the file using the archiver program, for example, Winrar. Start Adjprog.exe program by double-clicking. 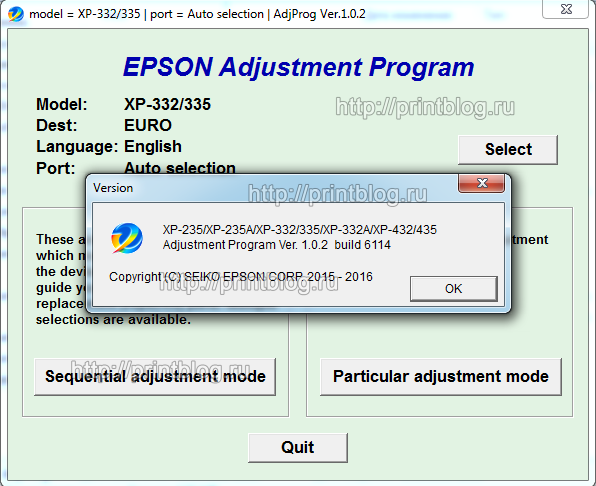 A window will appear with the Hardware ID number, copy this number and send an email with the subject printb@bk.ru "I bought you a program Adjustment program Epson XP-235, XP-235A, XP-332, XP-335, XP-332A, XP-432, XP-434, XP-435". We will send you back the activation code that you insert into an already running program and click Register.